Just about everyone wants a smile that looks bright white and beautiful. Even though it is possible to have a healthy smile that is stained and discolored, whiter teeth symbolize health and cleanliness. At Dove Dentistry, our Allen, TX cosmetic dentists have been helping patients get radiant new smiles for years with teeth whitening treatment. If your smile could use a boost, we can help you too! • Opalesence Boost – This same-day, in-office whitening treatment doesn’t dry-out teeth and contains an effective, but gentle concentration of hydrogen peroxide, as well as potassium nitrate and water to decrease sensitivity. In comparison to other in-office whitening methods, Opalesence Boost doesn’t require the use of a light to active the whitening agent, which can dry-out teeth and cause discomfort. With Opalescence Boost, our patients experience same-day results and reduced sensitivity for a more comfortable whitening process. • Take - Home - Another trusted Opalesence product, these at-home whitening trays are custom-made to fit your teeth based on impressions we take in our office. Just add the provided whitening gel to the trays and wear them while you relax in the comfort of your own home. The take-home treatment is available with whitening concentrations of 10%, 15%, 20%, and 35%, so we can customize the level of whitening you need to achieve results and avoid post-treatment sensitivity. • Opalesence Go – For patients who want the convenience of at-home whitening, but don't have the time to take impressions for custom trays, Dove dentistry offers Opalesence Go -- which is similar to a conventional whitening strip, but uses professional strength whitening ingredients. Unlike over-the-counter whitening strips, this professional at-home kit covers your smile from molar to molar to more effectively brighten a larger number of teeth. With our combination of in-office and at-home whitening treatments, our patients can select the teeth bleaching method that works for them. Teeth bleaching is most effective on teeth that look yellow and have been stained from habitual coffee and tea drinking, or even tobacco use. If you have teeth that have been discolored by use of certain medications or the natural aging process and have begun look gray, we have options that will help you achieve your goal smile; veneers are a great way to whiten your teeth, if stains cannot be lifted through traditional bleaching. It’s important to note that only natural dental enamel can be whitened. If you have a combination of porcelain veneers and natural teeth, we can design a treatment plan that will allow you to see a whiter smile. If you are considering veneers for the first time it’s a good idea to have your teeth whitened first, so your veneers can be made to match the shade of your new smile. 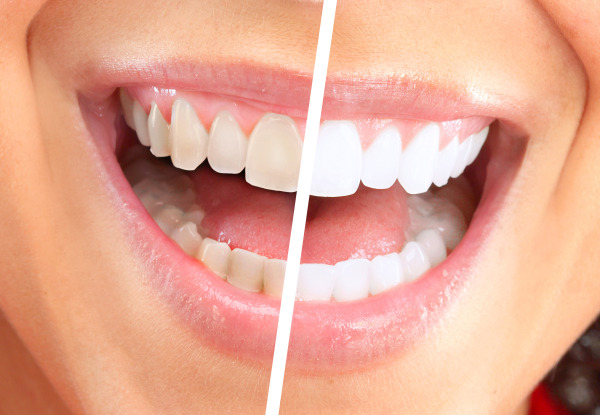 Our Allen, TX teeth bleaching treatments help patients achieve whiter smiles in as little as one trip to our dental office. If you have questions about whitening your teeth, contact Dove Dentistry for more information.